John C. H. Grabill was a photographer whose images help tell the history of the Black Hills and surrounding plains area of South Dakota and Wyoming. The images in this gallery were submitted by Grabill to the Library of Congress between 1887 and 1892. They reflect a wide range of activities from mining and railroading to ranching and variety of ceremonial festivities in military camps and the Pine Ridge Indian Reservation. You may see a larger version of each image by simply clicking on the photograph and selecting a different size from the menu at the top of the page. 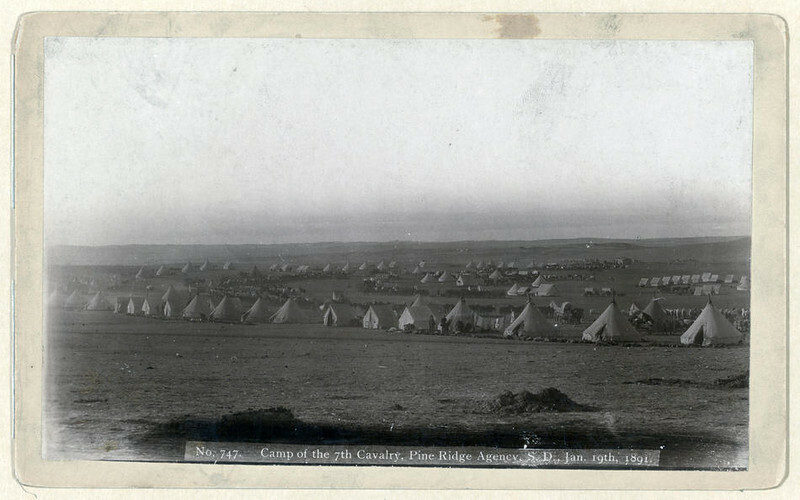 View of military camp: tents, horses, and wagons.